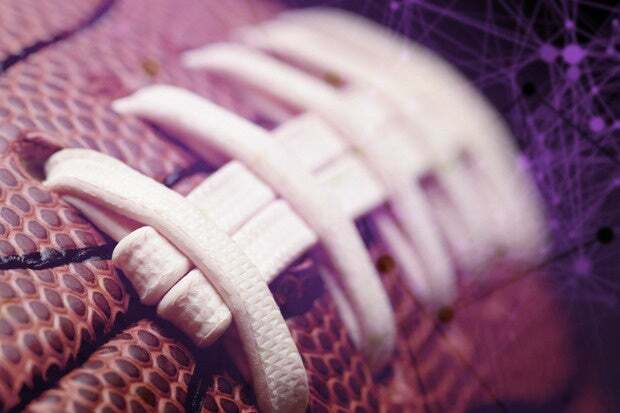 Already a power player in online fantasy sports, Yahoo leveraged new technologies, embraced open source and allocated staff to add a daily fantasy component and compete with startups such as DraftKings and FanDuel. Yahoo, a trailblazer in the world of online fantasy sports, recently released a daily fantasy service, and the company plans to use its experience to compete with pioneers such as DraftKings and FanDuel in the daily fantasy market. It was a natural move for the fantasy sports mainstay, which launched its first offering in the late 90s, but it required technology innovation. "From an industry standpoint, if there was any doubt about the legitimacy of daily fantasy sports, the Yahoo announcement made it very clear that there's a business opportunity in this area," says Ben Shields, a lecturer in managerial communication at the MIT Sloan School of Management and author of The Sports Strategist: Developing Leaders for a High-Performance Industry and The Elusive Fan: Reinventing Sports in a Crowded Marketplace. Nearly 57 million people in the United States and Canada participate in fantasy sports, and daily fantasy sports services are getting more and more popular. Today almost 20 percent of all fantasy sports players exclusively use daily services, up from 8 percent in 2013, according to the Fantasy Sports Trade Association. Daily fantasy sports leagues are different than season-long offerings because users enter new competitions with varying entry fees, and draft new rosters within a certain salary cap, every day. Winnings are then divvyed up based on user rank at the end of the day, instead of at the end of a season. In traditional fantasy sports leagues, users draft only one team at the start of the season, for the entire season, and they can only make changes using free agent pickups and trades along the way — similar to how real sports teams operate. Daily competitions mean companies such as Yahoo can draw money from customers on a daily basis instead of only once at the beginning of a season. Yahoo declined to say when exactly it started focusing on the daily fantasy operation but said it is something the company had been working on "for a while." Yahoo decided to enter the market because of high demand from users. It started with MLB baseball and will move on to the NFL, NBA and NHL within the coming year, as each season begins. "Daily fantasy is a different beast," says Kelly Hirano, vice president of engineering at Yahoo Sports. The efforts required some tweaks, new technologies and the proper allocation of staff so the final product appeared seamless to both new and experienced users. Yahoo had a solid foundation but had to factor in different conditions, including the higher volume of payment processing, contest creation optimizations and regulatory compliance. "We've beefed up resourcing on customer care, business operations, engineering, design and other areas to handle the additional work." Yahoo IT team built a new technology stack, but most of the core infrastructure, deployment and operations remained the same. The company uses a geographically distributed, high availability architecture and multiple environments for quality assurance, staging and performance testing to catch bugs. "Given this infrastructure, we're deploying several times a day with no human involvement," Hirano says. Yahoo also turned to open source technologies, including Node.js, Redis and Storm to handle the daily operations. Hirano says Node.js helps Yahoo take advantage of expressive programming paradigms, and it's easy to find people who know how to work with the platform. Using Redis and Storm for the daily operation will help Yahoo maintain site speed in high traffic situations, according to Hirano. For example, during NFL Sundays, Yahoo's traffic spikes when a popular player scores and millions of people check their phones to see how their team was impacted. "Unfortunately for us, these customized scoring calls to our servers are quite expensive since unique league scoring and lineups make caching very difficult," Hirano says. "With Storm, every time a game update comes through our system, we're able to update all scores for all players in just a few seconds and store the results in Redis; essentially preprocessing and caching versus processing at serve time. Now the same real-time scoring calls are extremely fast since they are key lookups as opposed to customized calculations." Hirano says they plan to use open source technologies for their traditional fantasy sports operations as well. "[T]his is not just a change for technology's sake; our users will see the benefit of a faster Web and app experience, as well as more personalized fantasy scores across our products." Yahoo brought together engineers from across the company to work on the daily operation and tapped employees from its labs team with experience in payments, analytics and science. Yahoo's daily competitors DraftKings, which was founded in 2012 and had $30 million in revenue in 2014, and FanDuel, founded in 2009 with $57 million in revenue last year, entered the daily fantasy market before Yahoo and exclusively offered daily fantasy competitions. Behind the scenes, DraftKings has a team of 75 engineers that manage the apps, website and analytics platforms, which were all built internally. The company hosts its hundreds of servers on Amazon's cloud and uses open source platforms such as MySQL and Node.js. The company uses 10 to 12 different analytics systems to crunch data on user behavior and marketing campaigns, among other things. DraftKings and FanDuel have the lion's share of partnerships with different sports leagues, teams and networks. For example, FanDuel has a deal with the NBA and Sirius XM Radio, and DraftKings is partnered with MLB, NHL and ESPN. Each company also has several deals with different NFL teams. Yahoo has yet to form partnerships with any major players, but MIT's Shields expects the company to excel, even though it's unclear which organization will win the most players in the daily fantasy arena. "Yahoo is operating from a position of strength," Shields says. "If you're already playing the regular [fantasy] game on Yahoo, you may be more likely to try the daily sports platform as well."